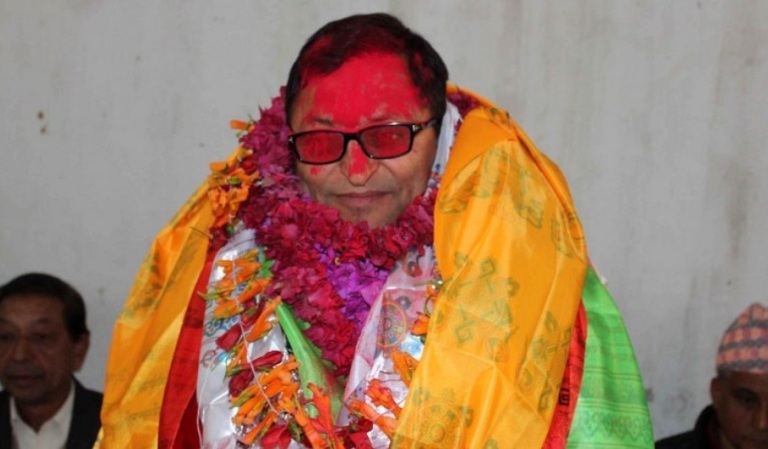 Parbat–National Assembly Chairperson Ganesh Prasad Timilsina was honoured with felicitation at his home town. He was offered the honour for being the first person of the Gandaki province to ascend to the special class of the nation. NA Chair Timilsina was felicitated with letter of appreciation, shawl and flowers amidst an inaugural function of the Gandaki Province-level women festival. The host, guests and audience of the festival felicitated him at Kushmabazaar, the headquarters of Parbat district, on Sunday. Speaking on the occasion, Chair Timilsina said he has reached to the present position due to protection from people of Parbat in course of their struggle against Panchayat regime. He also pledged to work to fulfill the hopes and aspirations of the people of Parbat during his tenure. Also felicitated on the occasion were the people – originally from Parbat district – who had reached the distinguishing positions of the state. Among the feted were proposed chair of National Natural Resource and Fiscal Commission Balananda Poudel, Secretary at Ministry of Foreign Affairs Shanker Das Bairagi, general manager at Tribhuwan International Airport Rajkumar Chhetri and former Deputy Inspector General of Nepal Police Gyanendra Bikram Mahat.